Purchase Joe Hautman Art Prints online from ArtBarbarians.com located in Minnesota. 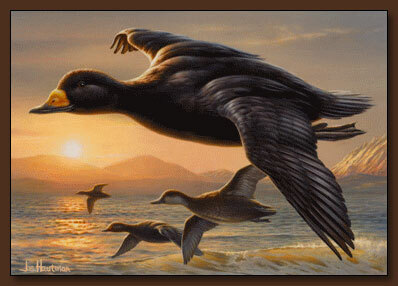 All three Hautman brothers have received numerous honors and awards, and have been a strong presence in many state and national duck stamp competitions. So why not add Joe Hautman art prints to your collection of fine reproductions? Like most people you probably can identify with nature like most of the artists we feature here on our web site. We have a couple of examples of this artist's work on this page but we have a large collection that you can browse and purchase online today. Each of the brothers has their own unique rendering of wildlife, that artistic quality that makes each one of them very a nice addition to any room in your home or office. The expressive nature of these Joe Hautman art prints makes it something that will create interest in those special areas of your home and even in your business office environment. If you're an avid hunter or conservationist, you'll appreciate the outstanding look of these prints, it will remind you of the great outdoors wherever you have these proudly hanging. At last count, the three brothers have seen their art featured on over 40 state and federal stamps. 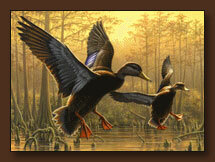 In fact, Jim, Bob and Joe are the only brothers ever to win the prestigious Federal Duck Stamp Contest. Call us if you have any questions about anything you see on our web site or need to know more about Joe Hautman art prints. We're happy to answer your questions personally regarding availability or something special you're looking for.